Here is the podcast of the two-hour special edition of Cross Encounters Radio, which the following article accompanies. 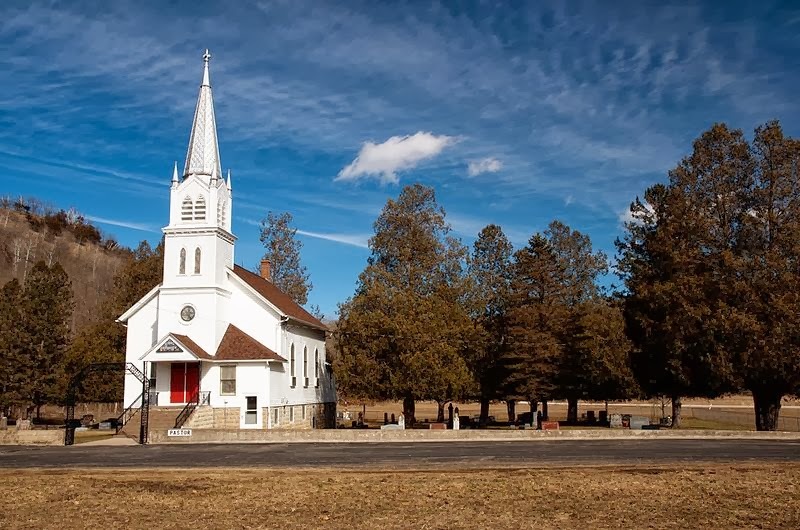 This article is the second in an ongoing series of articles looking at the false teaching and false practices of Bethel Church, in Redding, CA. 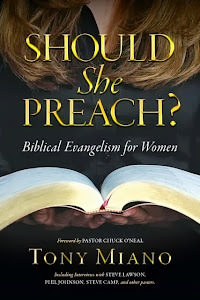 In this article I will address the false gospel of false prophet and teacher, Kris Vallotton, Senior Associate Pastor at Bethel Church. "Kris Vallotton is a noted prophetic voice in Northern California, and has trained prophetic teams in this region. He is a sought after speaker with a vision for equipping an "Elijah generation" for the end-time harvest. Kathy's practical wisdom and prophetic insight combine to give her a unique and profound ministry as both an instructor and the school's administrator. Kathy is also an anointed worship leader,assisting with the training of the worship teams at the school. Both Kris and his wife Kathy have a vision to raise up a company of warriors to impact this generation for Christ. Their goal is to see the fulfillment of Isaiah 61 with their own eyes. This prophecy begins with individual people getting delivered and healed--it ends with the ruined cities being restored. Kris says it is time for the fire of God to burn up His enemies and warm the hearts of the lost. This mandate has become their mission. God has instructed them to gather together warriors with like hearts, then train and equip them, and send them into the Harvest. Holy Spirit fortifications must be established in the midst of the darkest places of the planet earth. 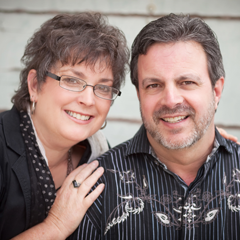 Kris is currently Senior Associate Pastor at Bethel Church in Redding, California and Kris and his wife Kathy are Overseers at Bethel's School of Supernatural Ministry. They have four children and five grandchildren." Some additional background regarding Vallotton will be helpful before we address the specific topic of this article--Vallotton's false gospel. The following information is not offered to "poison the well," but to give a more detailed understanding of what Vallotton believes and teaches. 1. Vallotton dismisses hermeneutics, exegesis, and Bible exposition, while accusing Jesus of taking Old Testament Scripture out of context in order to teach something new, "in code" (the parables). 2. Vallotton teaches the principle of "oneness with God," by misinterpreting John 17:20-21. In doing so, he erroneously affirms a unity with the Godhead in His/Their nature, as opposed to the clear teaching of Scripture that Jesus' prayer was for believers to be united with each other as the Godhead is united with each other. As a result of this false teaching, Vallotton promotes a false "law of attraction"--that since we are one with God lost people can see God in us. This teaching runs contrary to the clear teaching of Scripture that unbelievers cannot see Jesus in us (I Corinthians 1:18, 1 Corinthians 2:14; 2 Corinthians 4:4; Ephesians 2:1-3). 3. Vallotton perpetuates the false notion that Christians are not to judge. Jesus made it clear that Christians are to judge with right judgment (John 7:24). While Christians cannot judge in the sense of determining where a person will spend eternity (Matthew 7:1; James 4:12), Christians are called to confront sin in believers and unbelievers alike (1 Corinthians 10:14-22; 2 Thessalonians 3:6, 15; Titus 1:9; James 5:19-20). Vallotton also teaches the false idea that Christians are "salt," in this time of "ministry of reconciliation," in order to preserve cities from God's judgment. Bethel and churches like it often promote an unbiblical understanding of judgment in order to fend off criticism about the church's teachings and practices. 4. Vallotton teaches a false doctrine of apostleship and apostolic ministry. He describes Bethel's "supernatural" schools as "Holy Spirit terrorist training centers." 5. Vallotton teaches the false notion that those who are humble before God are, by default, destined for greatness in this life. This kind of thinking goes hand-in-hand with typical prosperity teaching--making promises God never made, by twisting Scripture to fit the false teacher's desired meaning and goal. 6. Vallotton and his wife are "elders" who oversee the Bethel School of Supernatural Ministry, a "supernatural" Mecca that is producing, promoting, and applauding false signs and wonders madness, mysticism, necromancy, blasphemous anointing, and other demonic manifestations. I could continue to provide examples of Kris Vallotton's false teaching and the role he plays in leading countless people, young and old, into following false signs, false wonders, false prophesies, false manifestations, and false spirits. However, the purpose of this article is to show that Kris Vallotton preaches and propagates a false gospel. 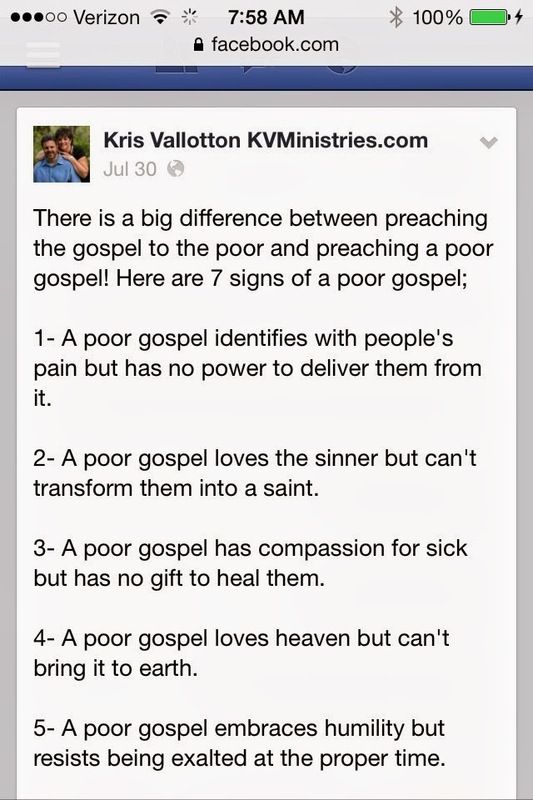 On July 30, 2013, Kris Vallotton (or a representative of his ministry) posted what he calls "7 Signs of a Poor Gospel." As of the writing of this article, 2,853 people have "liked" the Facebook post. 2,853. This Facebook post represents the gospel according to Kris Vallotton, Senior Associate Pastor of Bethel Church, in Redding, CA. 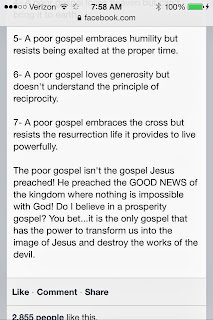 Here are Vallotton's "7 Signs of a Poor Gospel" and seven biblical responses to show Vallotton believes and teaches a false gospel. Vallotton's "7 Signs" will appear in "quotes." My responses will immediately follow each. 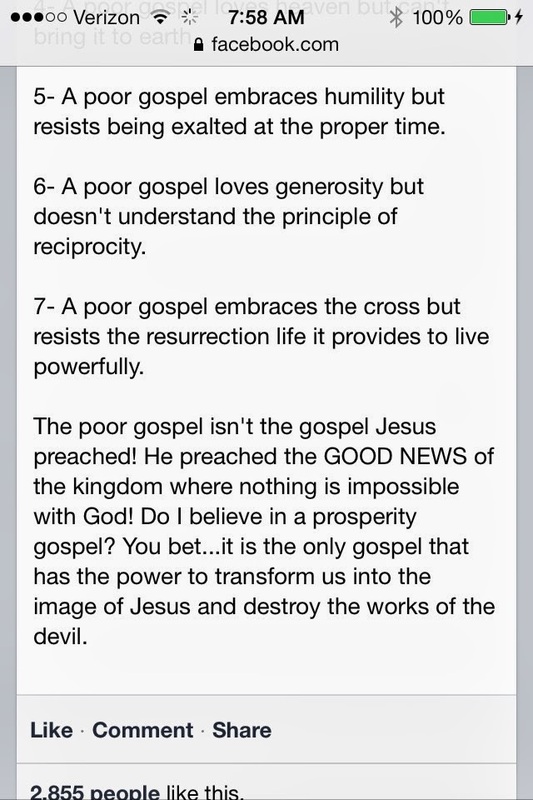 "The poor gospel isn't the gospel Jesus preached! He preached the GOOD NEWS of the kingdom where nothing is impossible with God! Do I believe in a prosperity gospel? You bet...it is the only gospel that has the power to transform us into the image of Jesus and destroy the works of the devil." According to Vallotton, a "poor gospel" is one that lacks manifestations and provisions of prosperity. As shown above, Vallotton is a master Scripture-twister, without citing so much as a single verse to support his claims. In this concluding statement, he plucks Matthew 19:26 out of its context, performs eisegetical surgery upon the text, without anesthetic, and twists it to fit his false prosperity gospel. Let's look at Matthew 19:26 in its proper context. "And behold, a man came up to him, saying, 'Teacher, what good deed must I do to have eternal life?' And he said to him, 'Why do you ask me about what is good? There is only one who is good. If you would enter life, keep the commandments.' He said to him, 'Which ones?' And Jesus said, 'You shall not murder, You shall not commit adultery, You shall not steal, You shall not bear false witness, Honor your father and mother, and, You shall love your neighbor as yourself.' The young man said to him, 'All these I have kept. What do I still lack?' Jesus said to him, 'If you would be perfect, go, sell what you possess and give to the poor, and you will have treasure in heaven; and come, follow me.' When the young man heard this he went away sorrowful, for he had great possessions. "And Jesus said to his disciples, 'Truly, I say to you, only with difficulty will a rich person enter the kingdom of heaven. Again I tell you, it is easier for a camel to go through the eye of a needle than for a rich person to enter the kingdom of God.' When the disciples heard this, they were greatly astonished, saying, 'Who then can be saved?' But Jesus looked at them and said, 'With man this is impossible, but with God all things are possible.' Then Peter said in reply, 'See, we have left everything and followed you. What then will we have?' Jesus said to them, 'Truly, I say to you, in the new world, when the Son of Man will sit on his glorious throne, you who have followed me will also sit on twelve thrones, judging the twelve tribes of Israel. And everyone who has left houses or brothers or sisters or father or mother or children or lands, for my name's sake, will receive a hundredfold and will inherit eternal life. But many who are first will be last, and the last first'" (Matthew 19:16-30). Nothing that is consistent with the perfect nature, perfect character, and sovereign will of God is impossible for God to accomplish. Nothing. However, there are many things that are impossible for man: creation, atonement for sin, and raising oneself from the dead, as well as achieving by his own power or merit that which is the subject of the above conversation between Jesus, a lost and wealthy man, and Jesus's disciples: salvation. Yet all that is impossible with man is possible with God. "No true Scotsman is an informal fallacy, an ad hoc attempt to retain an unreasoned assertion. When faced with a counterexample to a universal claim ('no Scotsman would do such a thing'), rather than denying the counterexample or rejecting the original universal claim, this fallacy modifies the subject of the assertion to exclude the specific case or others like it by rhetoric, without reference to any specific objective rule ('no true Scotsman would do such a thing'). Person B: "I am Scottish, and put sugar on my porridge." Person A: "Then you are not a true Scotsman." "An example of a political application of the fallacy could be in asserting that 'no democracy starts a war,' then distinguishing between mature or 'true' democracies, which never start wars, and 'emerging democracies,' which may start them. At issue is whether an 'emerging democracy' is actually a democracy or occupies a differing conceptual category." Atheists love to hurl the "No True Scotsman" fallacy at Christians. Why? Christians assert that not all who profess to be Christians are, in fact, Christians. Contrary to what atheists believe, such an assertion is not fallacious because there is an objective standard by which Christians can assert who they believe are saved and who they believe are not saved. Granted, no one can know the heart of another person with 100% certainty. 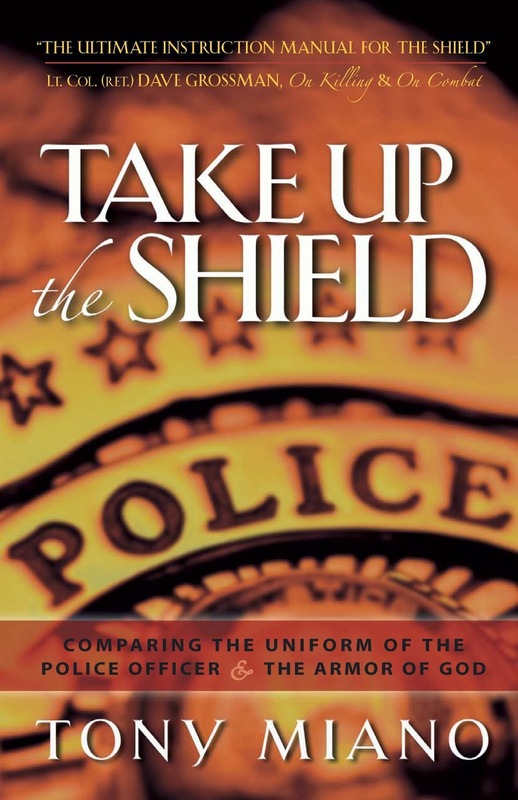 However, the Word of God, the objective standard by which Christianity is defined and the validity of one's faith is weighed, does make it clear that both Christians and non-Christians are known by their fruit (Matthew 7:15-20; Galatians 5:16-26), and out of the abundance of the heart the mouth speaks (Matthew 12:34; Luke 6:45). In addition, Christians are called to examine and test themselves to see if they are in the faith (2 Corinthians 13:5), and to examine one another for the same reason (2 Corinthians 13:6-10). The reason I assert that Vallotton's "7 Signs of a Poor Gospel" is erroneously built upon the "No True Scotsman" fallacy is that he does not have as his standard the objective Word of God, but rather his subjective opinion based on an eisegetical mishandling of the Word of God. Sign #1: "A poor gospel identifies with people's pain but has no power to deliver them from it." Now to Vallotton's first "sign." He describes a "poor gospel" as one that has no power to deliver people from physical or emotional pain. Vallotton begins his seven-point false gospel by showing either his ignorance to what the true gospel is, or his intentions to redefine the gospel to fit his needs and his chosen beliefs. One thing is certain: he employs yet another logical fallacy in an attempt to make his case. This time it is the fallacy of equivocation. Vallotton equivocates by changing the pain from which the now-saved person is relieved, the pain of sin and death (Romans 8:1-11), to mere physical or emotional pain. God promises salvation from the former (sin and death), but never promises relief from the latter (physical and emotional pain). Does God heal? Does God, at times, relieve his beloved, born-again children from the physical and emotional maladies that come with living in a fallen world and still being clothed in fallible, finite, sinful flesh? Yes he does! But such temporal relief is not a promise of the gospel, and to assert that it is (as Vallotton and others and Bethel Church do) is to present an anathematized gospel contrary to what Jesus and Paul preached (Galatians 1:6-10). Men of God, faithful men of God--men like Paul, Epaphroditus, and Timothy--men who were saved when they responded by faith to the gospel they heard (Romans 1:16; Romans 10:14-17; 1 Corinthians 15:1-11; 1 John 1:1-4), were not promised by Christ perfect emotional, spiritual, and/or physical health. Paul had his thorn in the flesh (2 Corinthians 12:7), Timothy had issues with his stomach (1 Timothy 5:23), and Epaphroditus almost died during his mission of mercy to Paul, who was imprisoned in Rome (Philippians 2:25-30). None of these men suffered illness or hardship; none of them suffered privation or persecution because they lacked faith. None of them had believed what Bill Johnson and Kris Vallotton would see as a false gospel of sickness and lack. They believed the true gospel of Jesus Christ--a gospel of Jesus's propitiatory sacrifice for sinners (Romans 3:21-26), a gospel of a future hope secured for them in heaven by God (1 Peter 1:3-9), a gospel of present-day joy in the midst of trials (James 1:2-4), a gospel that includes God-ordained endurance in the midst of the temptations of life (1 Corinthians 10:13), a gospel filled with the promise of predestined justification and glorification (Romans 8:29-30), and a gospel filled with the promise of never being separated from the love of God, which is in Christ Jesus our Lord (Romans 8:38-39). What great and glorious news the true gospel is! 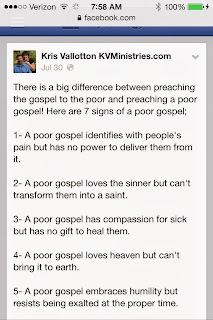 The problem with Kris Vallotton and false teachers like him is that the gospel is never enough. Jesus is never enough. Salvation is never enough. And God's grace is never sufficient for Vallotton, false teachers like him, and those who have been duped into following him. But for the true Christian, God's grace is more than sufficient in any circumstance (2 Corinthians 12:9), especially when God sovereignly and, yes, lovingly allows His children to experience pain, suffering, sickness, tragedy, persecution, or any other form of sorrow. What Vallotton describes as a "poor gospel" is the only gospel that has the power to save. Tragically, untold numbers of people flock to false teachers like Vallotton and false churches like Bethel Redding. They make professions of faith in Jesus, based on an anathematized gospel that rejects the true Jesus. They see Jesus as little more than a conduit for reaching what they really want--false promises of health, wealth, prosperity, authority, and power from the Holy Spirit whom they do not know, but yet treat like a divine butler or a genie in a bottle. Sign #2: "A poor gospel loves the sinner but can't transform them into a saint." Once again Vallotton employs the fallacy of equivocation. He uses a common Christian term, "saint," but uses it in a way contrary to its biblical meaning in order to support his claim. The only explanation for Vallotton's assertion must be seen in the light of the Dominion Theology to which he and other false teachers in the New Apostolic Reformation (NAR) ascribe. In other words, Vallotton is asserting in Sign #2 that a "poor gospel" is one that does not transform the saved sinner into a dominionist. Dominionism, while in my opinion is aberrant theology, it is not heretical. However, Vallotton and Bethel Church use Dominionism as a means to their unbiblical end--as a means of convincing people they can attain a level of greatness, power, and authority in this life that God does not promise in His Word. Bethel Church in Redding is going as far as to propagate the lies of the NAR brand of Dominionism upon small children, go so far as to "impart anointing" on children to take dominion. I want to be careful, here. At this point a distinction needs to be made. Since I have several Christ-loving, gospel-believing, gospel-preaching friends who ascribe to Dominionism, it is important to note that my friends would be very quick to separate themselves from Seven Mountains Dominionists like Vallotton and others in the false NAR movement. "I to stand with you in the fight against the NAR. "The distinction is pretty clear. One one hand you have Charismatics looking for Super Apostles to lead. They are looking for men to rule who speak to God directly and hear from them as the Old Testament prophets [did]. "On the other hand, you have reformed brethren, who want to use Scripture as the authority for all things and run their businesses, jobs, and families accordingly as good stewards. "Thanks for being willing to make that distinction." I know a number of men like Marcus--men who are born again, love Jesus Christ, love His gospel and all of His Word, love the Church, and love the lost--men with whom I have eschatological and philosophical disagreement in some areas, but who are no less brothers to me than those with whom I seemingly have full theological agreement. And the glue that binds us together is the common bond of worshiping the same Jesus and believing and preaching the same gospel. There is no such adhesive to bind me to those who lead the NAR and/or ascribe to its teaching, for the NAR presents a different Jesus and preaches a different gospel. My Dominionist friends worship Jesus in spirit and in truth. The "Seven Mountain" dominionists in the NAR do not. The issue is not whether or not the kind of Dominionism to which some reformed Christians ascribe is a valid theological construct. At least that's not my purpose for addressing Dominionism in this article. The issue is that Vallotton and other NAR teachers hold to their brand of Dominionism and hold it out to professed Christians and unbelievers like some kind of power-giving, super-spiritual carrot--as if it is a gospel-relate promise to all who are called "saints"--born-again followers of Jesus Christ. It is not. Returning now to the subject of biblical sainthood: Matt Slick, of the Christian Apologetic and Research Ministry provides a succinct and biblical definition of a "saint." "A saint is a very holy person with a special anointing from God. The word 'saint' comes from the Greek hagio which means holy ones. Christians are holy because of the work of Christ. In the New Testament the word occurs numerous times (Romans 1:7; 1 Corinthians 1:2; 2 Corinthians 1:1; Ephesians 1:1, etc) and is a designation of Christians. "The Bible speaks of saints in both the Old and New Testaments. In the Old Testament it is found such verses as Psalm 16:3, Psalm 132:9. Sometimes it is translated as 'godly ones.'" Again, Vallotton is guilty of the fallacy of equivocation as he uses the term "saint" in a way that strays from its true meaning by asserting that a saint is not merely a person who has been made holy by God (as if that were not enough), but one who must take dominion. According to the biblical definition, a saint is made a saint based solely on what God does through His sovereign, saving, redemptive work. A person is not, as Vallotton asserts, "transformed into a saint" by the quasi-spiritual and/or physical act of taking dominion. Even a cursory look at the post-resurrection, apostolic, first century church reveals that biblical history does not support Vallotton's notion that saints were/are those who took dominion or are taking dominion in this modern-day world. "I myself was convinced that I ought to do many things in opposing the name of Jesus of Nazareth. And I did so in Jerusalem. I not only locked up many of the saints in prison after receiving authority from the chief priests, but when they were put to death I cast my vote against them. And I punished them often in all the synagogues and tried to make them blaspheme, and in raging fury against them I persecuted them even to foreign cities." (Acts 26:9-11). Before Jesus caused Paul to be born again on the road to Damascus (Acts 9:1-19), Jesus had been crucified (Luke 23:26-43), died (Luke 23:44:-49), was buried (Luke 23:50-56), rose from the grave (Luke 24:1-12), and ascended to heaven (Acts 1:6-11). The Holy Spirit had fallen upon the Jewish believers during Pentecost (Acts 2:1-41), as well as the believers in Samaria (Acts 8:14-17). Were the thousands of spirit-filled followers of Jesus Christ taking dominion over Jerusalem, Judea, Samaria, and Rome? No. A man named Saul (later to become Paul) was leading the persecution of the saints, with raging fury. Christians were being mistreated, imprisoned, and martyred for their faith in Jesus Christ. The Holy Spirit would later fall on the God-fearers (Acts 10:44-48) and the Gentiles (Acts 19:1-7). Did the rapid growing communion of saints put an end to the persecution by taking dominion over their oppressors? No. The persecution increased to the point that the one who once was their chief persecutor would soon become one of their most beloved martyrs. Saul-become-Paul died not as a "seven mountain" dominionist, but as one set apart, made holy, called "saint" by his Lord and Savior Jesus Christ. Where is the Church flourishing today? It's not atop seven mythical, societal, cultural, agricultural, artistic, political mountains upon which saints have taken dominion. It is in places most of us in the west would consider "the end of the earth" (Acts 1:8)--places like China, Nigeria, India, North Korea, parts of the Middle East--places where Christians have anything but dominion over the world around them. And who receives the glory? Christ. And who receives the blessings of a Christ-glorifying, gospel-preaching life, death, and martyrdom? The saints of God. Sign #3: A poor gospel is one that has compassion for the sick but has no gift to heal them. With Sign #3, Vallotton is merely continuing his line of fallacious argumentation he employed in Sign #1. In this case, he equivocates by replacing or overshadowing the spiritual healing the gospel provides (Isaiah 53:5; Romans 1:16) with a physical healing the gospel never promises. He makes a fallacious argument by redefining the term "healing," as it pertains to the gospel, in order to put forth the assertion that any gospel that does not provide physical healing to the recipient is a "poor gospel," or no gospel at all. Once again, Vallotton finds himself at odds with the Word of God and the God of the Word. "And the Lord God made for Adam and for his wife garments of skins and clothed them (Genesis 3:14-15, 21). "Who has believed what he has heard from us? And to whom has the arm of the Lord been revealed? For he grew up before him like a young plant, and like a root out of dry ground; he had no form or majesty that we should look at him, and no beauty that we should desire him. He was despised and rejected by men; a man of sorrows, and acquainted with grief; and as one from whom men hide their faces he was despised, and we esteemed him not. "Surely he has borne our griefs and carried our sorrows; yet we esteemed him stricken, smitten by God, and afflicted. But he was pierced for our transgressions; he was crushed for our iniquities; upon him was the chastisement that brought us peace, and with his wounds we are healed. "All we like sheep have gone astray; we have turned—every one—to his own way; and the Lord has laid on him the iniquity of us all. He was oppressed, and he was afflicted, yet he opened not his mouth; like a lamb that is led to the slaughter, and like a sheep that before its shearers is silent, so he opened not his mouth. "By oppression and judgment he was taken away; and as for his generation, who considered that he was cut off out of the land of the living, stricken for the transgression of my people? And they made his grave with the wicked and with a rich man in his death, although he had done no violence, and there was no deceit in his mouth. Yet it was the will of the Lord to crush him; he has put him to grief; when his soul makes an offering for guilt, he shall see his offspring; he shall prolong his days; the will of the Lord shall prosper in his hand. "Out of the anguish of his soul he shall see and be satisfied; by his knowledge shall the righteous one, my servant, make many to be accounted righteous, and he shall bear their iniquities. Therefore I will divide him a portion with the many, and he shall divide the spoil with the strong, because he poured out his soul to death and was numbered with the transgressors; yet he bore the sin of many, and makes intercession for the transgressors" (Isaiah 53:1-12). "For I delivered to you as of first importance what I also received: that Christ died for our sins in accordance with the Scriptures, that he was buried, that he was raised on the third day in accordance with the Scriptures, and that he appeared to Cephas, then to the twelve. Then he appeared to more than five hundred brothers at one time, most of whom are still alive, though some have fallen asleep. Then he appeared to James, then to all the apostles. Last of all, as to one untimely born, he appeared also to me" (1 Corinthians 15:3-8). "But now the righteousness of God has been manifested apart from the law, although the Law and the Prophets bear witness to it— the righteousness of God through faith in Jesus Christ for all who believe. For there is no distinction: for all have sinned and fall short of the glory of God, and are justified by his grace as a gift, through the redemption that is in Christ Jesus, whom God put forward as a propitiation by his blood, to be received by faith. This was to show God's righteousness, because in his divine forbearance he had passed over former sins. It was to show his righteousness at the present time, so that he might be just and the justifier of the one who has faith in Jesus" (Romans 3:21-26). "But when the goodness and loving kindness of God our Savior appeared, he saved us, not because of works done by us in righteousness, but according to his own mercy, by the washing of regeneration and renewal of the Holy Spirit, whom he poured out on us richly through Jesus Christ our Savior, so that being justified by his grace we might become heirs according to the hope of eternal life" (Titus 3:4-7). "My little children, I am writing these things to you so that you may not sin. But if anyone does sin, we have an advocate with the Father, Jesus Christ the righteous. He is the propitiation for our sins, and not for ours only but also for the sins of the whole world . . . In this the love of God was made manifest among us, that God sent his only Son into the world, so that we might live through him. In this is love, not that we have loved God but that he loved us and sent his Son to be the propitiation for our sins . . .
"This is he who came by water and blood—Jesus Christ; not by the water only but by the water and the blood. And the Spirit is the one who testifies, because the Spirit is the truth. For there are three that testify: the Spirit and the water and the blood; and these three agree. If we receive the testimony of men, the testimony of God is greater, for this is the testimony of God that he has borne concerning his Son. Whoever believes in the Son of God has the testimony in himself. Whoever does not believe God has made him a liar, because he has not believed in the testimony that God has borne concerning his Son. And this is the testimony, that God gave us eternal life, and this life is in his Son. Whoever has the Son has life; whoever does not have the Son of God does not have life" (1 John 2:1-2; 4:9-10; 5:6-12). The gospel is pure. The gospel is glorious. The gospel is beautiful. The gospel is rich with abundant, eternal blessing. The gospel is salvation by the grace of God alone, through faith alone in Jesus Christ alone.Sadly, Vallotton--as well as other "Word of Faith," "prosperity," "signs and wonders" preachers--sully, taint, and misrepresent the gospel by adding something to it that will appeal to man's carnal, sinful nature, something the gospel does not promise--the promise of physical health, the promise of physical healing. Vallotton tramples under foot the blood of Jesus Christ by presenting a false gospel of physical healing. By propagating such a false gospel, Vallotton reveals that God's grace is not sufficient to him--that regeneration, redemption, and reconciliation with God the Father, through faith in God the Son, by the power of God the Holy Spirit is not enough. It's heartbreaking to see Vallotton and others used by Satan to give God-haters what they want--tickled ears with messages of health, wealth, prosperity, authority, power, and dominion while they remain comfortable in their unregenerate state, seeing the word of the cross, that beautiful and terrible cross, as foolishness (1 Corinthians 1:18). Sign #4: A poor gospel loves heaven but can't bring it to earth. With Sign #4, Vallotton is merely continuing his line of fallacious argumentation he employed in Sign #2. Bill Johnson teaches that "our [Christians'] assignment is to bring the reality of [God's] world [heaven] into this one . . . Our destiny is to go to heaven. Our assignment is to bring heaven." This is in keeping with their "seven mountain" dominion theology. While this is a bit off point, it is critically important to make you, the reader, aware that in the same message, Johnson proffers the heretical teaching that Jesus gave up his divinity as Son of God to become the Son of Man, and then He re-inherited it all, as a man, through His death and resurrection, so that sinners can have an inheritance. In the same message, Johnson also denies the doctrine of the Hypostatic Union when he says that while Jesus is eternally God, He was not God when he made the Great Commission statement about the authority given to Him. At that moment in time, after His resurrection, Jesus was merely our elder brother. This heresy, among others, to which Johnson and likely Vallotton (his right-hand man) subscribe is called Kenosis. "'Kenosis;'is derived from the Greek word kenoo which means 'to empty.' It is used in Philippians 2:7. The text of Philippians 2:5-8 is worth recording here. The kenosis theory states that Jesus gave up some of His divine attributes while He was a man here on earth. These attributes were omniscience, omnipresence, and omnipotence. Christ did this voluntarily so that He could function as a man in order to fulfill the work of redemption. This view was first introduced in the late 1800s in Germany with Gottfried Thomasius (1802-75), a Lutheran theologian. Philippians 2:5-8 does not teach that Jesus gave up any of His divine attributes since it says nothing of those attributes. Instead, it is speaking of His humility that moved him, according to the will of the Father, to leave His majestic state in heaven and enter into the humble position of human nature . . . The Kenosis theory is a dangerous doctrine because if it were true then it would mean that Jesus was not fully divine. If Jesus was not fully divine, then His atoning work would not be sufficient to atone for the sins of the world. The correct doctrine is the Hypostatic Union, that Jesus is both fully God and fully man (Colossians 2:9) and did not give up any divine attributes while as a man on earth. Johnson and Vallotton also proffer the idea of an open heaven (the ability to not only bring heaven to earth, but to move back and forth between heaven and earth), going as far as to teach even small children they can take fields trips to heaven. Bethel followers are often brought into this altered state of believing they can encounter the "third heaven" (a misapplication of Paul's testimony in 2 Corinthians 12:2) while on earth, through music. Sign #5: A poor gospel embraces humility but resists being exalted at the proper time. With Sign #5, Vallotton changes the the true meaning of Luke 14:11 and 1 Peter 5:6 by ripping them from their contexts to assert as a promise of God something that is, at best, only alluded to in the text. Valotton's position is that God exalts humble people by rewarding them with greatness. Humility is therefore seen as a conduit to earthly greatness and personal gain, as opposed to fruit of salvation--a salvation that will be completed in heaven (1 Peter 1:3-9). Let's look at 1 Peter 5:6 in its context. "Humble yourselves, therefore, under the mighty hand of God so that at the proper time he may exalt you, casting all your anxieties on him, because he cares for you. Be sober-minded; be watchful. Your adversary the devil prowls around like a roaring lion, seeking someone to devour. Resist him, firm in your faith, knowing that the same kinds of suffering are being experienced by your brotherhood throughout the world. And after you have suffered a little while, the God of all grace, who has called you to his eternal glory in Christ, will himself restore, confirm, strengthen, and establish you. To him be the dominion forever and ever. Amen" (1 Peter 5:4-11). John Gill, the great Puritan theologian, offered the following in his commentary on 1 Peter 5:6. "That he may exalt you in due time: the Arabic version reads, "in the time of exaltation": when his time to exalt is come, either in this world, or more especially at the appearance of Christ and his kingdom . . . It is the usual way and method which God takes to abase the proud, and exalt the humble; for humble souls honour him, and therefore such as honour him he will honour; and this he does in his own time, in a time that makes most for his glory, and their good; oftentimes he does it in this life, and always in that which is to come." Theologian Albert Barnes offers the following explanation of exaltation in his commentary on 1 Peter 5:6. (1) They might be assured that this would be done at some time. He would not always leave them in this low and depressed condition. He would take off his heavy hand, and raise them up from their state of sadness and suffering. (a) It might be in the present life. (b) It would certainly be in the world to come. There they would be exalted to honors which will be more than an equivalent for all the persecution, poverty, and contempt which are suffered in this world. He may well afford to be humble here who is to be exalted to a throne in heaven. Does God bless His people for their humility with tangible rewards in this earthly life? Yes He does. Should 1 Peter 5:6 be interpreted as a promise of certainty that tangible rewards of exaltation will be experienced by every person who humbles themselves before the Lord? Absolutely not. The recipients/readers of Peter's first letter must be considered in order to understand what Peter predominantly means when he uses the word exaltation as a reward for humility. "May grace and peace be multiplied to you" (1 Peter 1:1-2). Those who received Peter's letters were "elect exiles." They were believers who had been scattered throughout the known world, exiled by the sovereign will of God, via the winds of persecution. The exaltation of which Peter speaks is a lifting up of their spirits and countenance in times of sorrow and trial as they humbly submit to the Word and will of God. Like the recipients of James' letter, Peter's readers, as a result of their humility, would experience exaltation in the midst of their trials and an endurance-producing faith that would result in a level of spiritual maturity and wholeness that would lack nothing. Again, the kind of exaltation I just described often happens in this life. I experienced it while sitting in a London jail cell. In the midst of that trial, not knowing when I would be released, I was filled with the peace of God that passes all comprehension. I was exalted as I exalted my Lord and Savior with hymns of praise and worship. I was exalted as my confidence grew with every thought of scenes similar to my own in the Book of Acts. So lifted was my spirit and countenance that I proclaimed the gospel to the police officers milling about on the opposite side of my cell door. For seven hours of incarceration, I lacked nothing. "The Spirit himself bears witness with our spirit that we are children of God, and if children, then heirs--heirs of God and fellow heirs with Christ, provided we suffer with him in order that we may also be glorified with him. For I consider that the sufferings of this present time are not worth comparing with the glory that is to be revealed to us" (Romans 8:16-18). While present-day exaltation by way of physical rewards is possible for the humble saint, it cannot compare to what the guaranteed exaltation will be like when The Lord's born-again saints are with Him in glory, in heaven. The gospel of Kris Vallotton, Bill Johnson, and Bethel Church is a rudderless ship weighed down by the want of earthly treasures and temporal power, tossed to and fro by the winds of false teaching, without the compass of Bible truth, and a denial by the ship's officers that storms exist. A "poor gospel," Vallotton's gospel, is a gospel that denies the reality that God allows suffering in the lives of His beloved children. As such, Vallotton and those who follow his teaching will never truly humble themselves before the Lord in times of suffering. They will arrogantly and pridefully shake a fist at the devil, claim dominion over the trial, instead of humbly seeking true contentment and joy in Christ, in the midst of the trial. They will scoff at future exaltation in heaven while waiting for a temporal exaltation that may not come. They will desire personal exaltation by way of temporal reward instead of desiring to glorify Christ as He exalts them out of times of tribulation, for He has overcome the world (John 16:33). Is it any wonder why so many people, literally around the world, who ascribe to Bethel's false gospel and other false gospels such as the Word of Faith and Prosperity non-Christian movements resemble "rocky ground hearers" (Mark 4:16-18)? They are lied to with the easy-to-believe-and-swallow mantra that God doesn't allow His people to suffer. So when those duped by Vallotton and other false teachers experience the least bit of suffering or (Bethel forbid) persecution, "they immediately fall away." How do I know this? I know this because I regularly experience the wrath of those who hold on to such unbiblical notions as prescribed in Vallotton's "7 Signs of a Poor Gospel" or of those who came to realize they were duped by the spiritual used car salesman on the well-lit, well-appointed stage. They are the angriest hecklers I face when I preach the gospel on the streets--false converts believing false gospels or apostates who once claimed to know Christ, only to turn from Him with the now-exposed-hypocrisy of their "teachers" serving as an excuse for denying Christ. On more than one occasion while open-air preaching, I've been contacted by "Bethelites," students or graduates of the Bethel School of Supernatural Ministry when preaching the gospel. And what do they do? What is their modus operandi? They passive-aggressively mock the preaching of the law and the gospel and then try to distract people from listening with offers of prophetic prayer, supernatural healing and, if that doesn't work, free hugs--all in an effort to discourage the preacher and distract those who are listening. Vallotton's poor gospel, which is no gospel at all, is a gospel that seeks the exaltation of self, not the exaltation of Jesus Christ. Sign #6: A poor gospel loves generosity but doesn't understand the principle of reciprocity. In an article titled Giving and Tithing, posted on the Christian Broadcasting Network website, a definition of the Principle of Reciprocity is given. "As Pat Robertson stated in his book, The Secret Kingdom, Christ's admonition to 'give and it will be given to you' defines a remarkable spiritual principle. It can also be called the law of reciprocity, which is quite evident in the physical world: for every action, there is an equal and opposite reaction. Smile at another person, and he'll probably smile back at you. Be critical of others, and they'll respond in kind. As you give, you will receive. Give generously, and you'll receive in like measure." "The law of use, coupled with reciprocity, makes an unbeatable combination. Whatever talent God has entrusted to you, use with all your might. To illustrate, some years ago I talked one Sunday night to a volunteer receptionist who was completely upset. She was partially disabled, but under revised guidelines she no longer qualified to receive welfare assistance. Her world had collapsed around her. I knew that despite her physical disability, she was uniquely gifted in making exquisite Christmas ornaments with religious scenes. I challenged her to use her talents. In fact, I offered modest financial backing to get her started in her own business. The backing was never called for, because her creations were an instant success. Not only did her new income considerably exceed her previous welfare payment, she was able to employ four people to assist her. "Perhaps you have a small amount of money. Why not use it to make more money? If you can begin an investment program where you can set aside $100 or $200, and then $400, pretty soon, you will have $800. After a while, the money will begin to work for you. The law of use and the law of compounding interest will begin to build up an enormous amount of money. If a person could simply double $100 every year for twenty years, it would become $50 million! "As you give, God will begin to pour His blessing upon you. As you use your talents, under His direction, and allow your resources time to grow, His blessing will multiply beyond anything you can now imagine." God loves a cheerful giver (2 Corinthians 9:6-8), not a giver who gives for the sake of receiving a return on his investment. People are still falling for the charlatan-led, "but wait, there's more," hundredfold-blessing "praise-a-thons" produced by the Trinity Broadcasting Network. Reasonable people look at non-Christian organizations like TBN as the blasphemous parody of true Christianity. But Bethel Church and the New Apostolic Reformation do the same thing. They are simply more subtle and sophisticated about it than the hucksters on local cable television. They partner with and promote NAR darlings like Todd Bentley and Shawn Bolz who talk about an "Angel of Finance" or "Angelic Minister of Finance." In one video, Vallotton gets so enamored with the idea of reigning and ruling and kingdom wealth that he blasphemously utters the words "I AM" in describing himself. "[Speaking again of himself] You know why I don't have to wear those nice suits and all that fancy stuff, and pretend like I'm rich? Because I AM! My father owns this kingdom. He's going to give this kingdom to me and all, and everybody from everywhere is going to serve me, us, them, him. I was raised up. You know why I was born? I was born, I was raised up to rule and reign. He's making all this stuff and he's like, 'We got to have somebody rule this stuff. We need some managers of the universe. We better born some sons and some daughters.' And the devil, he's still running around trying to figure out how to get you not to believe you're a king, and a prince, a queen, and a princess!" The gospel of Jesus Christ is not a gospel of earthly prosperity. Vallotton's gospel, a poor gospel, which is no gospel at all, is nothing more than a Paul Crouch, Joyce Meyer, Benny Hinn, "little god" retread designed to cause people to love the falsely advertised bennies of the Christian life, namely money and power, rather than loving the Giver of Life (John 5:21) and Author of Faith (Hebrews 12:2), Jesus Christ. Sign #7: A poor gospel embraces the cross but resists the resurrection life it provides to live powerfully. There's little reason to spend much time on Vallotton's last "sign." Vallotton is simply presenting the same dominion, prosperity, signs and wonders, Word of Faith theology by using yet another term: "resurrection life." "He [Jesus] summons us into something that is beyond all comprehension. And it is to be as a resurrected child of God, on planet earth, bringing that reality into this world." Two resurrections are discussed in the Word of God: the resurrection of Jesus Christ and the resurrection of the dead--most being raised for judgment, with God's Elect being raised to eternal life. One familiar passage in which Jesus talks about the resurrection is found in Luke 20:27-40. "And Jesus said to them, 'The sons of this age marry and are given in marriage, but those who are considered worthy to attain to that age and to the resurrection from the dead neither marry nor are given in marriage, for they cannot die anymore, because they are equal to angels and are sons of God, being sons of the resurrection. But that the dead are raised, even Moses showed, in the passage about the bush, where he calls the Lord the God of Abraham and the God of Isaac and the God of Jacob. Now he is not God of the dead, but of the living, for all live to him.' Then some of the scribes answered, 'Teacher, you have spoken well.” For they no longer dared to ask him any question'" (Luke 20:27-40). Jesus doesn't speak, here, of any present-day "resurrected life." The resurrection is seen as a future event. Even Martha, sister of Jesus's close friend Lazarus, understood that the bodily resurrection of the dead was a future event. Like Jesus, Martha did not speak of a "resurrection life" in this present world. "Jesus said to her, 'Your brother will rise again.' Martha said to him, 'I know that he will rise again in the resurrection on the last day'" (John 11:23-24). So where does Bill Johnson and leaders of Bethel Church, like Kris Vallotton, get this "resurrection life" vernacular? "Indeed, I count everything as loss because of the surpassing worth of knowing Christ Jesus my Lord. For his sake I have suffered the loss of all things and count them as rubbish, in order that I may gain Christ and be found in him, not having a righteousness of my own that comes from the law, but that which comes through faith in Christ, the righteousness from God that depends on faith— that I may know him and the power of his resurrection, and may share his sufferings, becoming like him in his death, that by any means possible I may attain the resurrection from the dead." "Power of His resurrection and fellowship of His sufferings furnish two specific points further defining the knowledge of Him. By the power of Christ's resurrection is meant the power which it exerts over believers. Here, more especially, according to the context, in assuring their present justification, and its outcome in their final glorification. See Romans 4:24, Romans 4:25; Romans 8:11, Romans 8:30; 1 Corinthians 15:17; Colossians 3:4; Philippians 3:21." Vincent rightly states that the power to which Paul refers is not a power that he exerts in his life. It is the power Jesus exerts over the life of the believer. As is so often the case in NAR, prosperity, and Word of Faith theology, Valllotton's seventh sign expresses a minimization of the cross of Jesus Christ. In these non-biblical, non-Christian movements (I refer to these as "non-Christian" movements because of the false gospels they preach) the cross is seen as an afterthought. Jesus is treated like a "yeah, but" on the way to getting the fix of spiritual heroin the adherents to these movements truly desire--desire more than Jesus Christ. And men like Kris Vallotton are the spiritual drug dealers. Vallotton's gospel is a poor gospel, which is no gospel at all, because each of its seven hollow doors swing upon equivocating hinges. In this case the equivocating hinge is Vallotton's redefining of "resurrection power" so that a cross-centered gospel, biblical gospel appears "poor" when compared to his gospel--a gospel that focuses on the glorification of man instead of the glorification of Christ. In the beginning of this article, I accused Vallotton of taking Matthew 19:26 out of context. Let's give him the benefit of the doubt for a moment. Let's go so far as to say Vallotton did not even have Matthew 19:26 in mind. Let's say he was instead referring to Philippians 4:13 when he wrote: "He [Jesus] preached the GOOD NEWS of the kingdom where nothing is impossible with God!" Philippians 4:13 is one of the most popular and most often cited verses of Scripture. "I can do all things through him who strengthens me." Lest Vallotton and the thousands of people who "liked" his Facebook post forget, Paul penned Philippians 4:13.....wait for it.....while in prison. Needless to say, Paul was unable to get himself out of prison. Vallotton and those who follow his teaching must see Paul as a failure, as a man who lacked faith, as a man who did not live in "resurrection power." Maybe Vallotton and others see Paul as a hypocrite. After all, he wrote about how nothing is impossible with God, yet he experienced not moments, but years of "tribulation, distress, persecution, famine, nakedness, danger, and the threat of the sword" (Romans 8:35). So, where was Paul's power? Where was his victorious living? Why didn't he take dominion over all of his oppressors and the cultures he invaded? Why was he such a puny saint, in the dimming light of NAR theology? Of course none of the above is true. Paul wasn't a failure. He didn't lack faith. He understood the power of the resurrection and its direct and immediate impact on his life. Unlike Vallotton and others who believe his poor, man-centered, man-exalting, and false gospel, Paul understood, possessed, and lived a truly Spirit-filled, Christ-exalting, Gospel-driven, and God-glorifying life. He lived in anticipation of Christ's triumphant return. He lived a powerful life--a life empowered by an alien righteousness not his own. So attuned to the resurrection power of Jesus Christ was Paul that he was able to not only endure, but flourish in a life filled with the harshest treatment and persecution. Paul lived a life so conformed to the image of Christ (Romans 8:29) that every Christian since Paul's day should seek to emulate it. Today's Christian should follow and imitate Paul, as he followed and imitated Christ (1 Corinthians 11:1). Vallotton's gospel, which is no gospel at all, has no power because it has no life. It has no life because it is not the gospel of the Giver of Life. And it is not the gospel of the Giver of Life because it is a gospel that is contrary to the gospel of the Word of God. My hope and prayer is that Kris Vallotton (and all those who have been misled by his teaching, certainly his teaching regarding the gospel) will repent, turn to Christ, and live. I pray the Lord removes the veil from his eyes (2 Corinthians 4:3) that, at present, prevents him from seeing the truth (1 Corinthians 2:14)--the truth that will set him free (John 8:31-36). I pray that the word of the cross will no longer be foolishness to him (1 Corinthians 1:18), and he will never again trample under foot the blood of Jesus Christ (Hebrews 10:26-31) by making a mockery of the true gospel, by proffering a gospel that has no life or power outside of his sinful mind. Do I know with certainty that Kris Vallotton is not saved? No. But based on what he calls the gospel, based on what he speaks from the abundance of his heart, I have no confidence he knows Jesus Christ as Lord and Savior. Again, I am praying for him and all who wrongly believe he rightly teaches the Word of God. And To Kris and All Who Have Read This Far, Please Keep Reading. If you now realize that Bethel Church, and churches like it are not safe places for those who know Jesus Christ as Lord and Savior (or anyone else, for that matter); if you need help finding a solid, Bible-believing, Bible-teaching, Christ-exalting, spiritually healthy church, please let me know. I would be blessed and honored to help you find a good church in your area. Questions and comments regarding this and/or any other article on this blog can be sent to: info@tmiano.com. Thank you for your time and your efforts. I can really see your heart in this, which is to protect the church and to take care of gods children! Most of the comments you made on kris's teachings were pure misunderstandings. I believe that you have the right heart, but its actually easy to realize that you had already believed kris and bethel to be wrong, even before you wrote this article. you probably saw the "signs and wonders" on youtube or heard of them and you heard that bethel is part of the nar and therefore you made the decision that they must be wrong. based on these assumptions you wrote this article and therefore you missed the point and opened the door for misunderstandings. bethel might be "crazy" and the nar might be "weird" but countless lives have been changed and a lot of people have given their lives to our Lord Jesus because of their ministry. are they false christians now? "who is not against me is for me. as the father has sent me I send you." probably this wont help at all , because it is all "out of the context etc..."
so you can believe what you want to believe to be true. "what if god is different than what you expect him to be and there is actually no box we can put him in and no limitations." with love, your brother in christ. If there is ANY chance that this ISN'T of God, I think I would rather flee from it. Safer to stick to Bible reading, prayer, and your traditional Bible believing church. Dear Unknown. You are misapplying scripture. Going to the person and talking to them is not the biblical principle when dealing with false teachers. The bible tells us to expose them, to call them out, to identify them by name, to have nothing to do with them, to banish them from the congregation. Check it out. This article was "right on". God opened my eyes after attending an AOG church for 22 years. I saw people lifting pennies and looking foe yellow pieces of cloth that "the Spirit" told them to look for. You would be well reminded to read the BIBLE....these are cheap tricks and things designed to take the focus OFF the one true GOD of miracles. I believe that whatever the Holy Spirit teaches us, will NEVER contradict the Word of God, so to be sure if you are dealing with a Message from God, test it with The Word, if it contradicts its false, if it matches its legit. I attended Bethel as a child and teenager. I left when I was able to make my own choices when I turned 18. I remember being a 14 year old girl, sitting there hearing Kris from his own mouth claim he had thoughts "Voices" when he was possessed before he found God to molest his children. I am sorry but even at that age I knew, that is a desire of a sick man. Something that doesn't come just from being possessed. Personally the fact that he was able.to become possessed as he claims is disturbing enough for me. Not to mention the leaders ask us to give up our worldly possessions. Once people started taking off their jewelry and diamonds...Started to throw them at the stairs to the speaker...While they sat and smiled. As i watch the leaders and their wives live in HUGE, fancy, built from the ground up homes, drive BMWs, Mercedes fancy new mustang convertibles. While their congregation is poor. They recruit people who move and take minimum wage jobs to pay for a school that charges thousands of dollars to attend. First year students pay thousands of dollars to become janitors of the church...Cleaning toilets and the church to teach humility. They do not see or realize theyre paying to work for bethel. It is the WORST place you could ever be to seek GOD. Please stay away! Sounds like a vengeance comment to me. The fact that he didn't act on those "voices" and was changed to a better person shows the true power of God. What is behind this teaching of Bethel: "The Trinity is the Father, Son, and Holy Spirit. Not the Father, Son, and Holy Bible!" When I heard it proclaimed through a pastor friend of mine who is now attending Bethel, it made me shutter. While it is fact that the Trinity is the Father, Son and Holy Spirit, the inference of this statement that the Word of God is "less than" somehow did not sit well within my own spirit. I've just been learning about false teachers and false movements, the dangers of Bethel, the Toronto "Blessing", "slain in the spirit". I know a lot of Christians who like this stuff and it's a concern. It's scary. I thought your broadcast was great, not harsh judgmental at all. I am glad I didn't get too far into the signs and wonders movement! Need to get back to the basics, Bible reading and prayer. Pretty certain as they shouted "crucify him" that it was the 'religious' that did that...it was prophesied, nothing could stop it from happening. Nothing will stop the mighty work of God that is taking place today. Throwing stones at other believers because of your fear is well....fear. Do not fear....do not be afraid....if God is offended by this then he'll take care of it...I don't remember Him needing you or I to police the planet. He's well in control!! Rest assured. Take heed to this article. It is entirely true and biblically based. I was in a AOG church in which Bethtel Redding was starting to infiltrate as they are many denominations. I thank God that I knew my bible well enough that God could reveal to me what was happening. I brought my concerns to one of the pastors; they said my concerns were true but there was nothing they could do to stop what was going on. At that point, I left the church. Read the Word in its proper context; it is the only thing that will give you discernment. Seriously...nothing they could do? Hmmm that sounds to me like it was God then...the best way to find out is to ask the Holy Spirit to reveal truth to you. Personal relationship with Jesus is being able to see what He says. He is LOVE, please tell me what you are doing is in love. If ye have not love, I think everyone should reevaluate if they are loving their brothers in Christ. If we love and honor one another, that pleases God. If we are backbiting and slandering other believers, even if we 'think' they are wrong how will that win the lost? If we hate one another, why would the sinner want to be part of this. Just what is being said is hate. Pure and simple. You hate it because it isn't your thing...Go study your Bible, as everyone else that loves God does and focus on the lost. Not your brothers in Christ. What are you proving? As Jesus drew in the sand, the accusers walked away, who of you are without sin???? Let's remember we are living in the time where people need the Body of Christ to actually be 'being' the body of Christ. Not the accusers of the brethren, we already have one in that place. Lighten up people, get on your faces before God and worship Him in spirit and truth. Give Him thanks and praise, get lost and caught up in HIM. He loves our praise, I've never once read where He loves our fault finding and finger pointing. Bless you all to know truth, and love, and the will of the Father. I think you may need to reread this portion of the NEW testament. I think you're about to be enlightened. How on earth can a born again, blood bought child of God limit God in any way. If you were sick would you ask for healing, it says that we can have that too. There are endless possibilities with God, I so hope you can trust Him as others do. We aren't under the law people, we are free in Christ. Free i tell you. If we aren't, He died in vain. 1 Corinthians 12:10 to another the working of miracles, to another prophecy, to another discerning of spirits, to another different kinds of tongues, to another the interpretation of tongues. 1 Corinthians 12:28 And God has appointed these in the church: first apostles, second prophets, third teachers, after that miracles, then gifts of healings, helps, administrations, varieties of tongues. 1 Corinthians 12:29Are all apostles? Are all prophets? Are all teachers? Are all workers of miracles?